Dan Boothby had been drifting for more than twenty years, without the pontoons of family, friends or a steady occupation. He was looking for but never finding the perfect place to land. Finally, unexpectedly, an opportunity presented itself. After a lifelong obsession with Gavin Maxwell's Ring of Bright Water trilogy, Boothby was given the chance to move to Maxwell's former home, a tiny island on the western seaboard of the Highlands of Scotland.Island of Dreams is about Boothby's time living there, and about the natural and human history that surrounded him; it's about the people he meets and the stories they tell, and about his engagement with this remote landscape, including the otters that inhabit it. 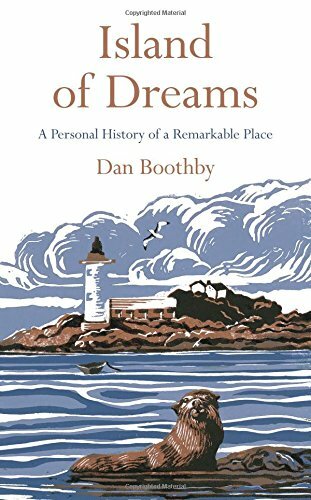 Interspersed with Boothby's own story is a quest to better understand the mysterious Gavin Maxwell.Beautifully written and frequently leavened with a dry wit, Island of Dreams is a charming celebration of the particularities of place. Part of our Scottish Island Biography selection for the summer.